The Indialantic by the Sea Hotel has a 100-year-old history on beautiful Melbourne Beach, Florida, and more than a few guests seem to have been there from the start. 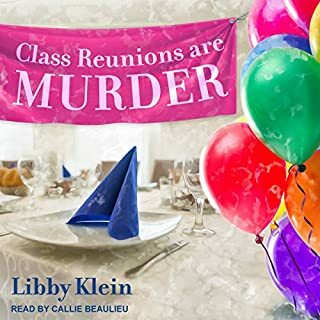 When Liz Holt returns home after an intense decade in New York, she's happy to be surrounded by the eccentric clientele and loving relatives that populate her family-run inn. But that patronage decreases by one when a filthy rich guest is discovered dead in her oceanfront suite. Emma Lovett leaves her philandering husband and crosses the country to begin her teaching career at a high school in Pinewood, Colorado. There, she meets Leslie Parker, a fellow teacher given to quoting Shakespeare to fit all situations, and the two become fast friends. Arriving at work early one morning, Emma discovers the body of the school custodian, a man who reminds her of her late father. When the police struggle to find the killer, the ladies decide to help solve the murder. Their efforts lead them to a myriad of suspects: the schizophrenic librarian, the crude football coach, the mysterious social studies teacher, and even Emma's new love interest. 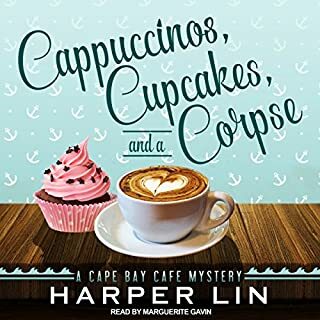 This is an average cozy mystery with typical characters and a typical plot. It took me a while to finish it. I might get the next book in this series if I don't have anything else to read. A first book in what will hopefully be a series. As a high school employee. I found the setting and situations were spot on. The teacher who is a "Grammar Nazi," yes every school has at least one. The gourmet teacher meals are a dream come true. I loved the librarian wanting to ban some students for life, yep may have known one..............no not really.I would like to see our principal zipping around on a skateboard. I loved the teachers quest to solve the murder, all the novels mentioned, but could of done without Shakespeare quotes. I look forward to the next book or books yet to come! The narration was well done.The characters were well portrayed. Angie Hickman makes this listen extra enjoyable. my idea of a good cozy mystery. very entertaining and excellent narration. I requested this free review audiobook and am freely offering my honest and unbiased review. 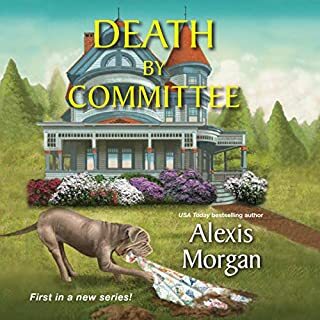 Where does Death by Diploma rank among all the audiobooks you’ve listened to so far? This book is in the top 10% of the mysteries I've listened to. I loved the humor and intelligent references to English, teaching and Shakespeare. It was fun and smart. It made me laugh a lot and kept me listening to the end. I didn't want to stop. What made the experience of listening to Death by Diploma the most enjoyable? The story was interesting, it was narrated matching the plot and the feelings of the characters. Which character – as performed by Angie Hickman – was your favorite? The main character was my favorite. I received this book as a gift with the understanding I would leave a honest review. I thought Angie Hickman did a wonderful job of narrating this book. She kept me listing to it. I thought the story was ok.
What did you like best about Death by Diploma? What did you like least? This was an enjoyable book to listen to. 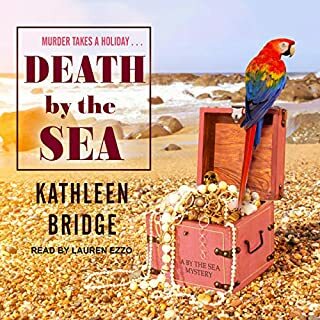 The two main female characters were fun girls, and amateur sleuths who got up to all sorts of adventures and found themselves in all sorts of scrapes. The ending was very good, and I didn't guess who the murderer was! I wouldn't say I had any favorite scene. It was an enjoyable book throughout. 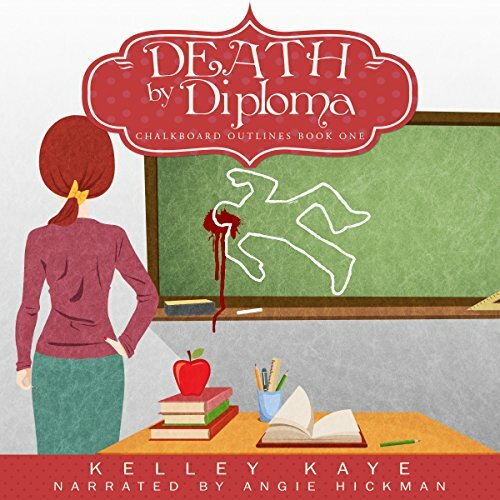 Was Death by Diploma worth the listening time? Death by Diploma was definitely worth the listening time. It was a light hearted crime caper that was easy listening. I really enjoyed the quirky characters, with no one taking themselves too seriously. What a way for a new teacher to become initiated to a new town, new job, new friends!!! What aspect of Angie Hickman’s performance would you have changed? The characters were at times very hard to distinguish one from another. I am not much of a movie goer, so no. 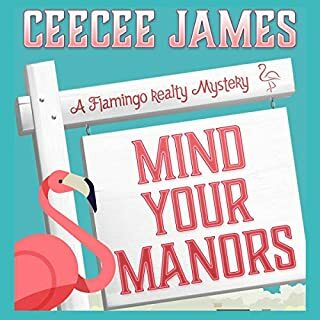 This is my first cozy mystery! The characters are fun and quirky, with an interesting place for a setting. Both Emma and Leslie would be great additions to liven up any school and makes you wonder if these situations could happen at any school. The clues are splattered about nicely and there are plenty of humorous moments to keep you entertained. I enjoyed listening to this. I thought is was funny and the narration was great. Lesley was my favorite she had me laughing throughout most of it. I was voluntarily provided this free review copy audiobook by the author, narrator, or publisher. I'm glad this is book 1 because I love these characters and can't wait to listen to the next book in the series to see what happens next. Full of characters that make you laugh and have fun while trying to figure out where the author is going with it and who done it. Narrator is perfect for all the characters making the whole experience worthwhile. 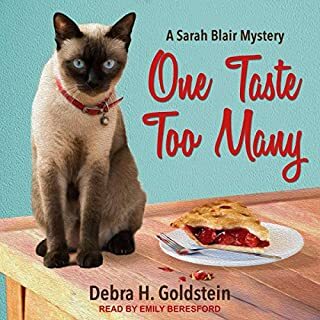 "I was voluntarily provided this free review copy audiobook by the author, narrator, or publisher."